High end measurement instruments for monitoring and controlling of very low differential air pressure in clean rooms, flow boxes and mini-environments. These measurement devices detect differential pressure by converting the air flowing through the sensor. The flow direction is defined by the pressure conditions and goes from the higher pressure to the lower pressure area. This so called mass flow is measured with a thermic principle with a hot wire. The mass flow is then converted to a differential pressure value. 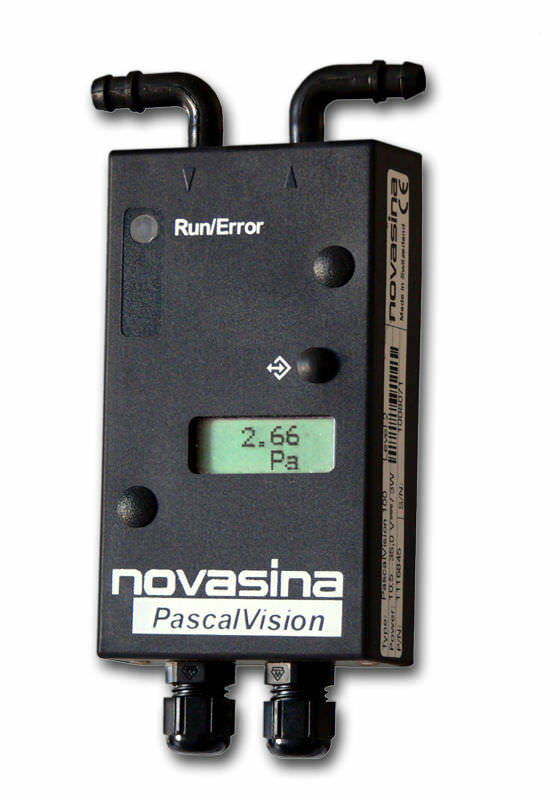 This measurement does not require any mechanical sensor parts, which offers unique characteristics in terms of accuracy, robustness and stability. Pascal mass flow differential pressure sensors are suitable very low pressures < 10 Pa.